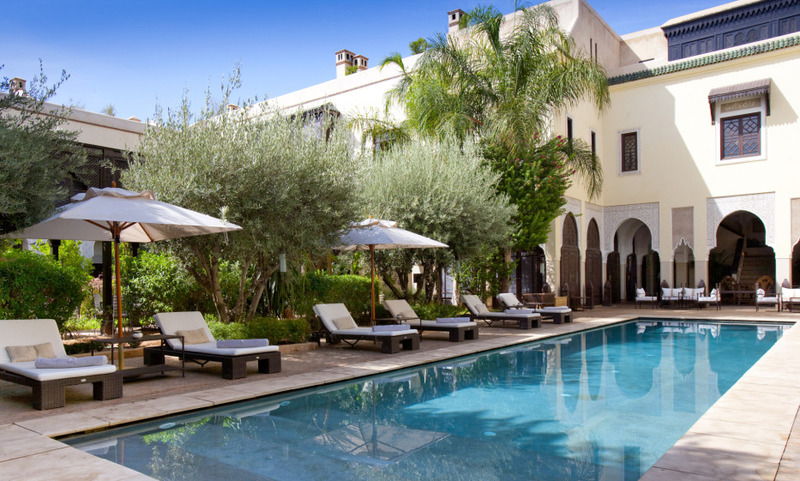 This high-luxury riad combines the blend of authentic Moroccan craftsmanship with the art of providing sanctuary from the bustling souks of Marrakech. Most of the 27 guestrooms offer a private terrace with view to the Atlas Mountain. At the foot of the Koutoubia mosque, an exceptional location to explore the Medina. The exquisite swimming pools: a rooftop one, a 16m long one in the garden and the Private riad's one. The attentive staff transforming each hour of the day into moments of relaxation and well being. Seemless professional efficiency. Quite excellent service from all staff. Absolutely no request was too much trouble. Most grateful. Well located in a calm area in the middle of the Medina. The staff is welcoming and efficient, and we especially enjoyed the intimate atmosphere.